I'm a bit late getting my post up unfortunately, the internet has not been my friend! It's a great theme this time around - inside of the card. We seem to neglect (well I do) the inside of the card most of the time, so it was fun to create something with the inside in mind. 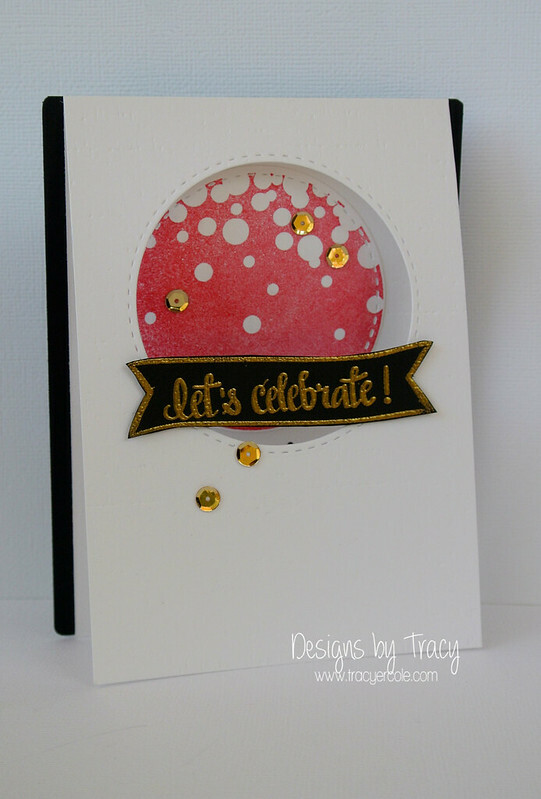 It's funny, after I did my card I noticed my team member, Bettina did a very similar layout with the same stamp set. We must have been on the same wave length that day! 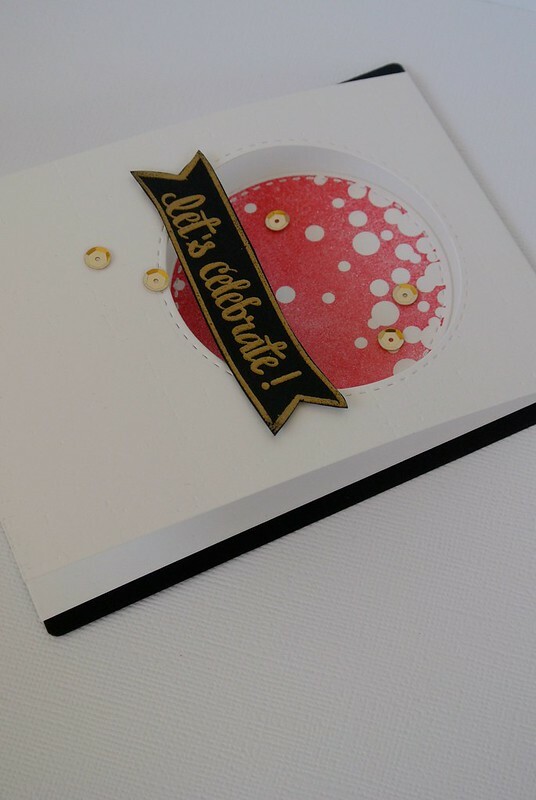 Well here is my card, I used the stamp set Party Dots and some gold sequins from Neat and Tangled of course. I tried out the Memento Luxe ink in Love Letter and was pretty happy with how it stamped. I don't think I inked the stamp up as well as I could have though. I used some new dies (new to me) from Lil Inkers to die cut the circle and just had to use my favourite gold embossing powder, Metallic Gold from Zing for the sentiment banner. I hope you get time to play along with the challenge. Link your cards up here! I've used the Inlinkz tool below, make sure you check out the great giveaway and this fantastic tool if you haven't already. Beautiful card Tracy, I love the gold! 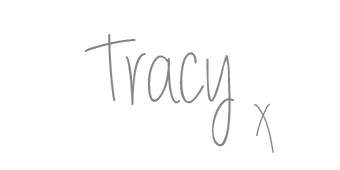 Tracy I love your card, way to rock using gold!